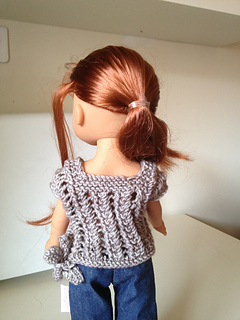 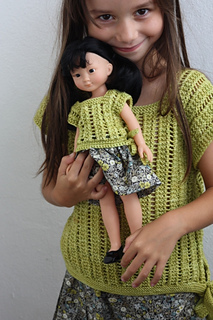 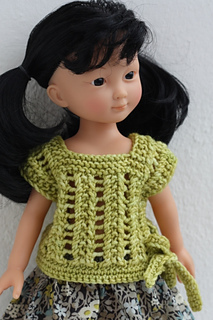 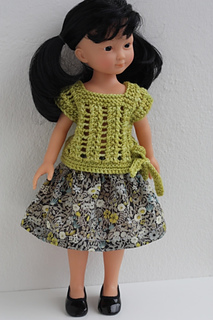 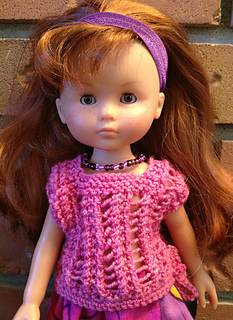 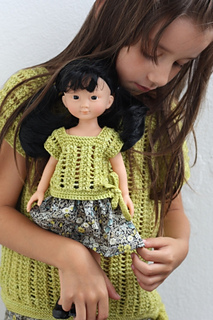 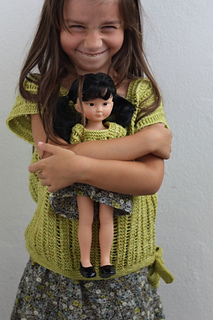 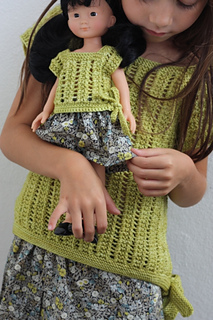 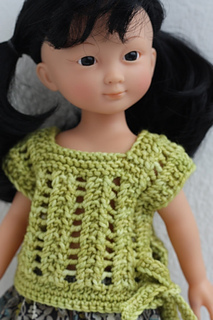 Little Ula is a little short pullover, the doll-sized version of Ula. 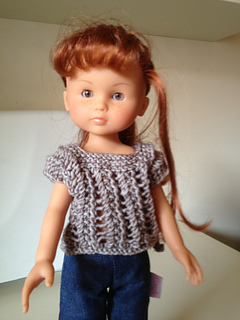 The doll of the house can now match her little mommy! 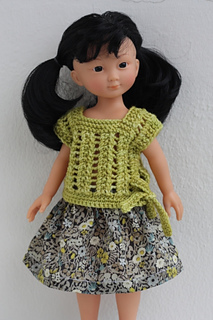 Note: the lace pattern is worked over 5sts for the doll version!